An ancient evil is unleashed after centuries of captivity and her lust for revenge threatens to destroy the world in The Mummy. Tom Cruise (Mission: Impossible franchise, Top Gun) battles the ultimate evil in a breathtaking version of the legendary and mystical monster that has captivated and terrified humankind for centuries. Thought safely entombed deep beneath the desert, an ancient princess (Sofia Boutella, Star Trek Beyond,Kingsman: The Secret Service) whose destiny was unjustly taken from her is awakened in our current day. Her malevolence has grown over millennia and with it come terrors that defy human comprehension. From the sands of the Middle East through modern-day London, The Mummy balances wonder, thrills, and imagination. With more than an hour of never-before-seen bonus features, The Mummy 4K Ultra HD, Blu-ray and DVD reveal the deepest secrets behind this sumptuous and wonder-filled epic. 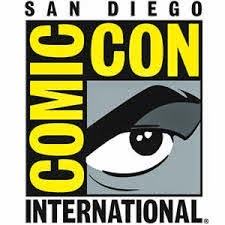 This film represents another reboot of The Mummy franchise, this time to kick off a planned Dark Universe cross-film series that would involve other classic Universal monsters such as the Wolf-Man and the Invisible Man. Like some other attempts at trying to create a shared universe, this one ends up weaker for the effort. It doesn't help that the last Mummy series that was launched in 1999 is so much better than this although they admittedly grew worse with each film. 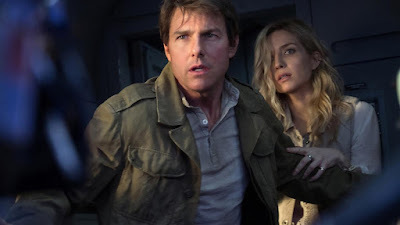 While the 90's Mummy films had plenty of fun and adventure to spare, this new reboot has to depend solely on the charisma of Tom Cruise to keep it afloat. The story isn't that great, there's a general lack of ambition when compared to the earlier saga, and the villainous Mummy itself isn't as sympathetic or cool as the one played by Arnold Vosloo. His version of the Mummy was condemned to become the creature due to his love for the Pharaoh's wife and his complicity in the murder of the ruler. 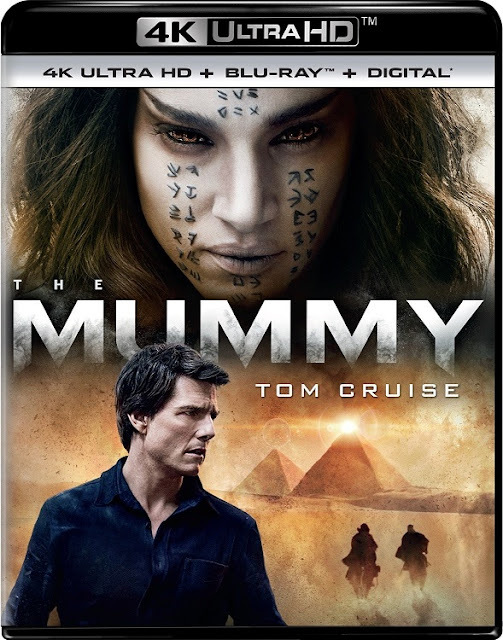 In this version, Princess Ahmanet (Sofia Boutella) is turned into the Mummy due to her murderous vendetta against her family in her bid for power. There's no motivation other than a lust for power. 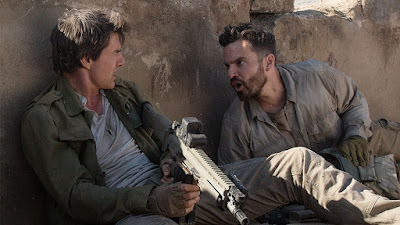 The main character isn't that well drawn either as Nick Morton (Tom Cruise) is simply an opportunist who has no problem abandoning his mission as part of the Army's Long Range Reconnaissance team to search for any loot he can get his hands on. He is reluctantly assisted by his buddy Chris Vail (Jake Johnson), who complains the entire time about the danger Nick keeps putting them in. When they accidentally stumble on an ancient prison that was used to trap Princess Ahmanet in her sarcophagus, the Army inadvertently frees her once they remove it from its resting place. The only people who know what Ahmanet is up to is the secret group known as Prodigium which is led by Dr. Henry Jekyll (Russell Crowe). They have their own agenda which may or may not conflict with Nick's survival. With Ahmanet's arrival in London and her murderous spree ongoing, Nick has to figure out a way to stop her and a way to survive the fight against her supernatural powers. With each killing, she grows more and more powerful. I don't want to go into any more detail than that as I don't want to spoil any plot points for the movie, but suffice it to say that I much preferred the 1999 version over this one. 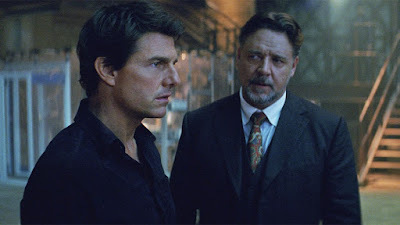 While the action scenes were pretty good and I enjoyed the performances of Tom Cruise, Russell Crowe, and Jake Johnson, the story wasn't very good and this comes across as something of a misfire. There is so much potential here that it makes this a frustrating experience as it could have been such a better movie in different hands. I enjoyed it but I was disappointed at the same time. I can only hope that if there are any future installments that they spend more time on the plot and characters than they did this time. Both the Blu-ray and 4K options looks great but the 4K version is the better of the two. Details are sharp and defined such much so that you can see the threads in Ahmanet's outfit easily. Colors are vibrant and varied and the black levels are suitably dark. There are some scenes look look even better than the rest of the movie, most likely due to the camera used for filming at the time. The Dolby TrueHD 7.1 mix is extremely impressive as it really brings the movie to life and is the highlight of this viewing experience. The action is spread across the various channels well and is highly accurate. The surround channels really convey the atmosphere and excitement throughout the film and the dialogue is clear as well. Brian Tyler's score is well served in the movie and is never drowned out by the effects. This is a stellar track for the fans. You will find the extras on the Blu-ray disc included in this set. I wish the extras were more extensive but these do cover the basics. Deleted and Extended Scenes - Four deleted/extended scenes are included: "Beautiful, Cunning and Ruthless," "Your Friend Is Alive," "Sand in my Mouth," and "She's Escaped." This version of The Mummy could have been a lot better but it also could have been a lot worse. It's enjoyable enough as entertainment, but it's not the best foundation to build the upcoming shared Dark Universe on. This 4K set offers excellent video and audio quality presentations and the extras are decent but nothing special. While I'd recommend buying the 1999 version of The Mummy on 4K instead, I still liked this movie and can say that the 4K version of this film is better than the Blu-ray.